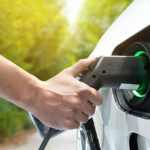 Posted April 12th, 2019 by Charged EVs & filed under Newswire, Sponsored Content, The Tech. Posted April 3rd, 2019 by Ryan Austin & filed under Newswire, The Tech. Posted April 3rd, 2019 by Dyllan Furness & filed under Newswire, The Tech. Posted April 2nd, 2019 by Paul Beck & filed under Newswire, The Tech.